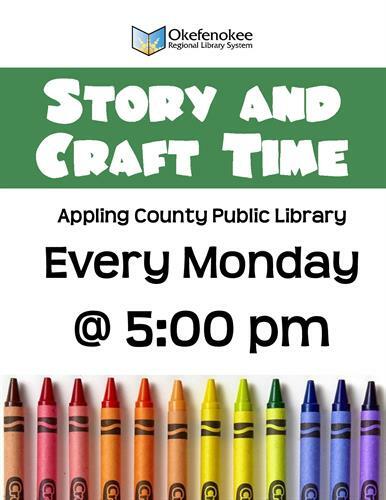 Every Monday afternoon at five bring your kids up to the library for story time! None. No children under the age of 12 can be left alone in any area of the library.